King & Prince Seafood® is one of the largest seafood companies in the United States with global links for sourcing your needs thru Nissui. We have a passion for our customers, a passion for seafood and a passion to be the best in everything we do! Our goal is to help you menu more seafood at all times of the year. Exceptional employees providing quality, innovative seafood solutions for the foodservice customer. Our culinary team can help you menu more seafood with over 30 years of culinary and foodservice experience. 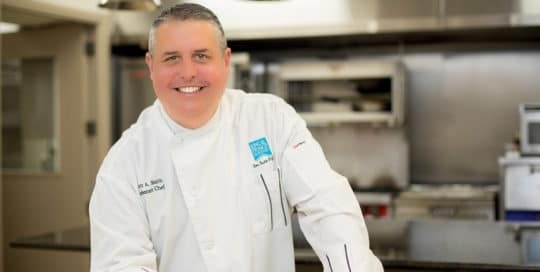 Learn more in our Culinary Center and see what they are working on! 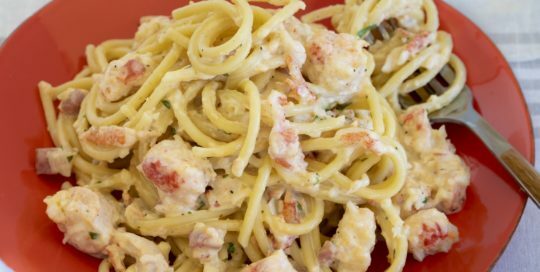 You’ll love this upscaled Italian dish made with bucatini pasta, lobster & seafood! Tossed with pan-crisped pancetta, tarragon & a rich reggiano cream sauce. 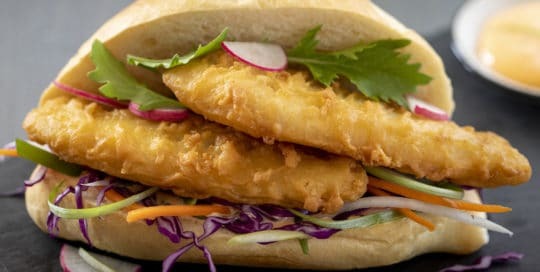 MSC Certified pollock is sourced from Alaskan waters, the most sustainable fishery in the world. Each hand-cut fillet is coated in a handcrafted signature batter made with Samuel Adams Boston Lager® .